Humana today opened its twelfth store in Madrid. It is on 12, Raimundo Fernández Villaverde Street, close to the Cuatro Caminos Square. It has 160 square meters, capable of accommodating 5,000 clothes for men, women and children, as well as accessories and home textiles. Clothes, shoes and accessories that can be found in this and other Humana shops come from a comprehensive selection of donations received and have great value. The place has a facade of six meters in length, which gives it great visibility, thanks also to showcase the counts. 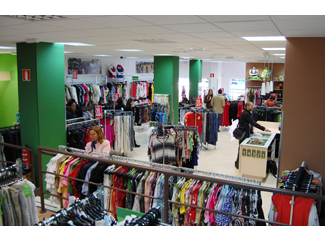 The Foundation have28 stores in Spain: 12 in Madrid, 12 in Barcelona and its metropolitan area, two in Granada and Seville 2. The funds generated by these establishments allow the financing and development of cooperation programs in the South and welfare in Spain.